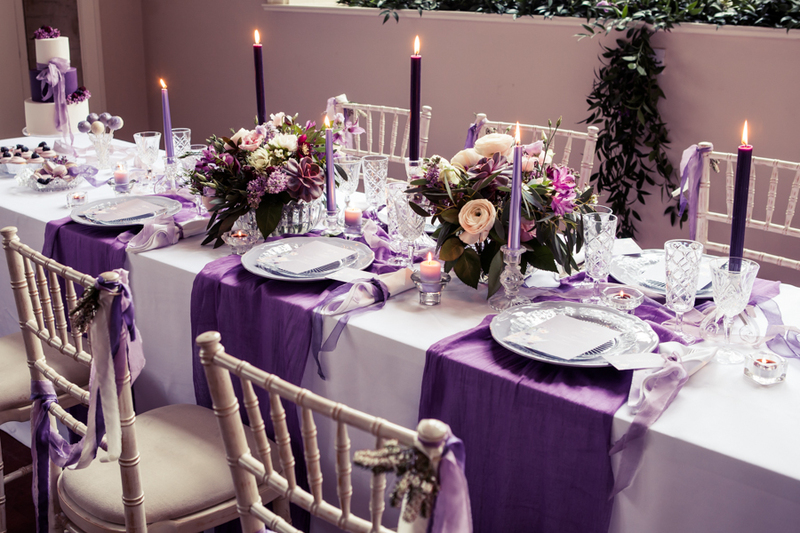 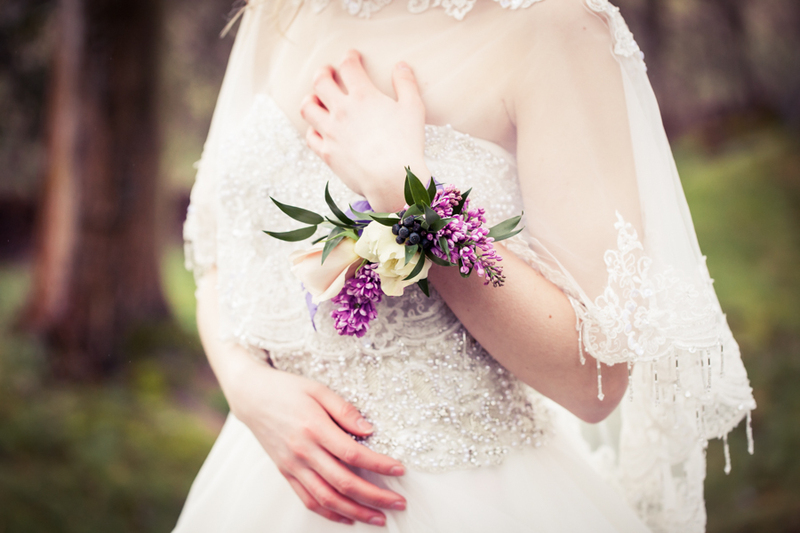 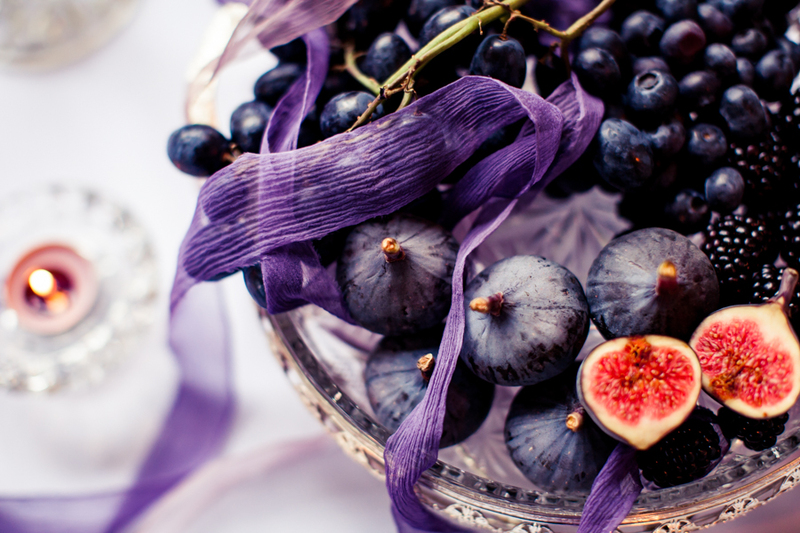 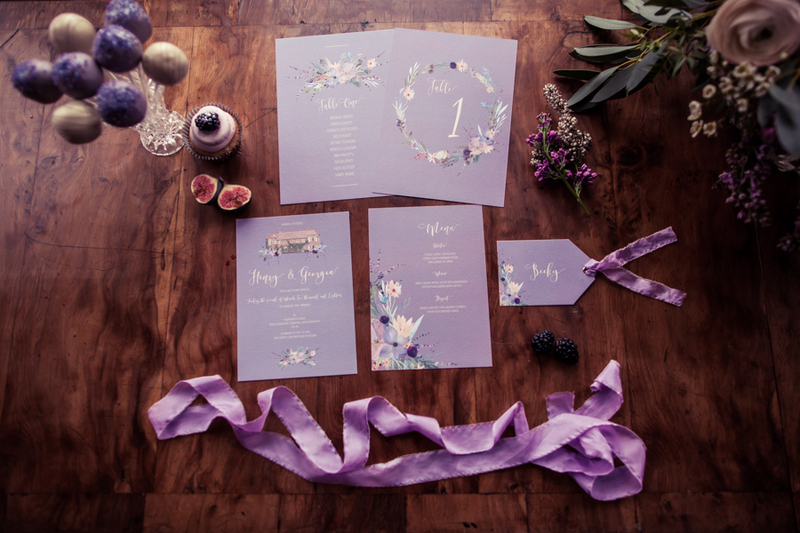 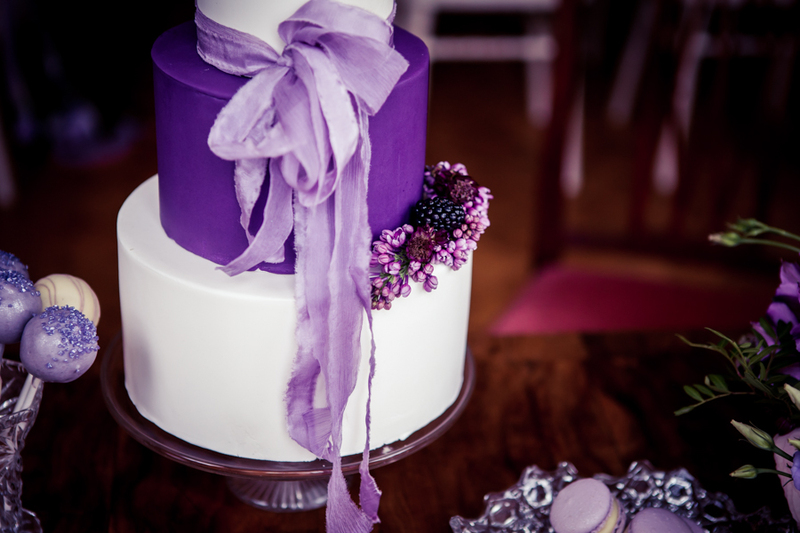 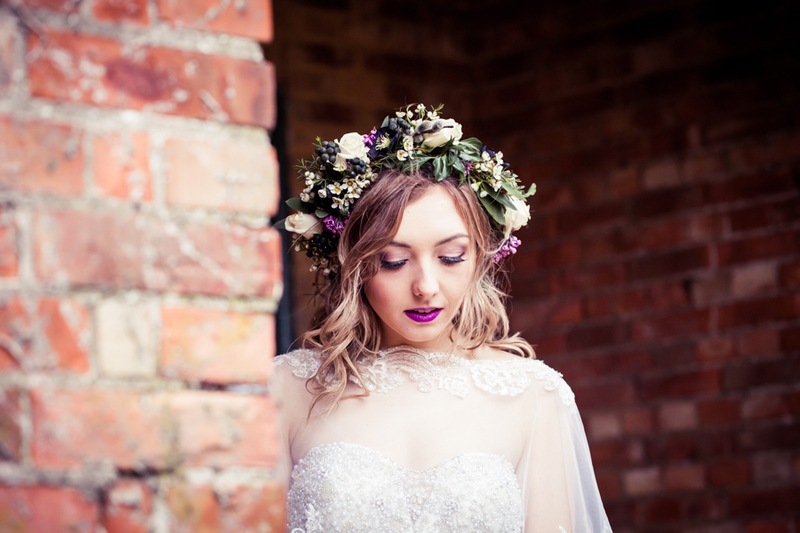 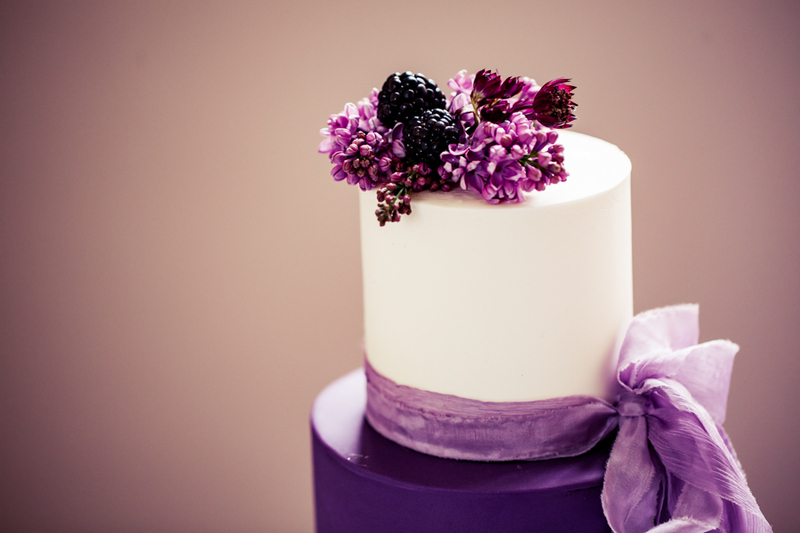 Embracing the dynamism of ultraviolet, the Pantone colour of the year, in your wedding theme could be a challenge, right? 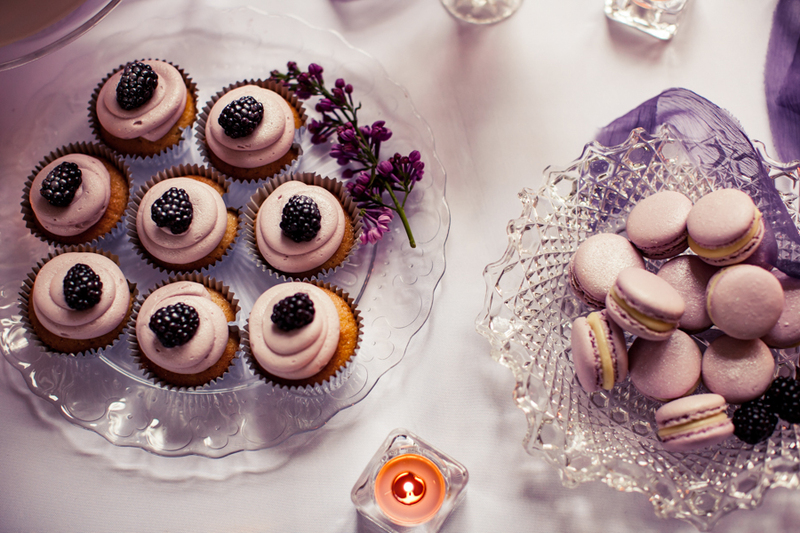 Well think again! 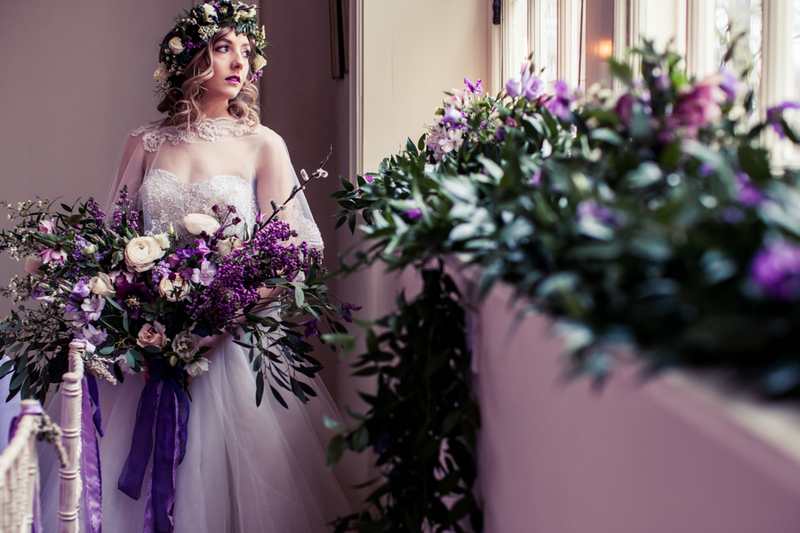 This shoot, planned and styled by Gillian Neild at plannedwithgill.co.uk with her team of Yorkshire creatives shows us just how easy it is to embrace one of the hottest trends of 2018. 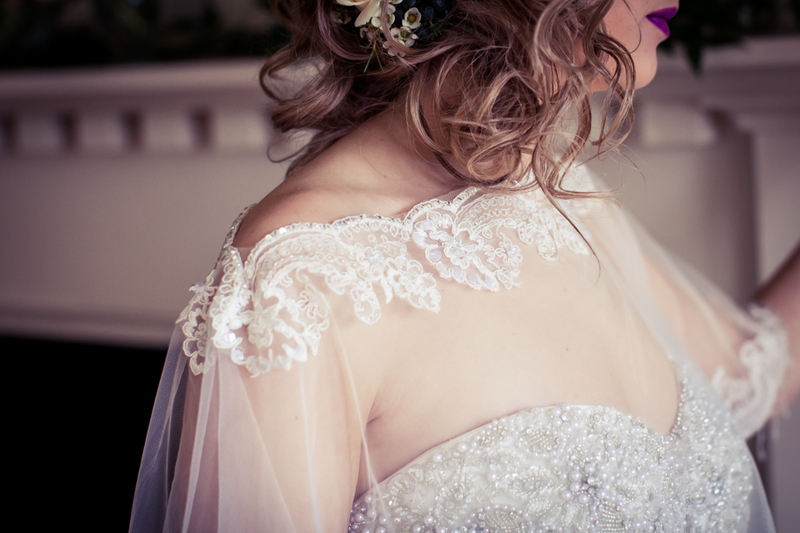 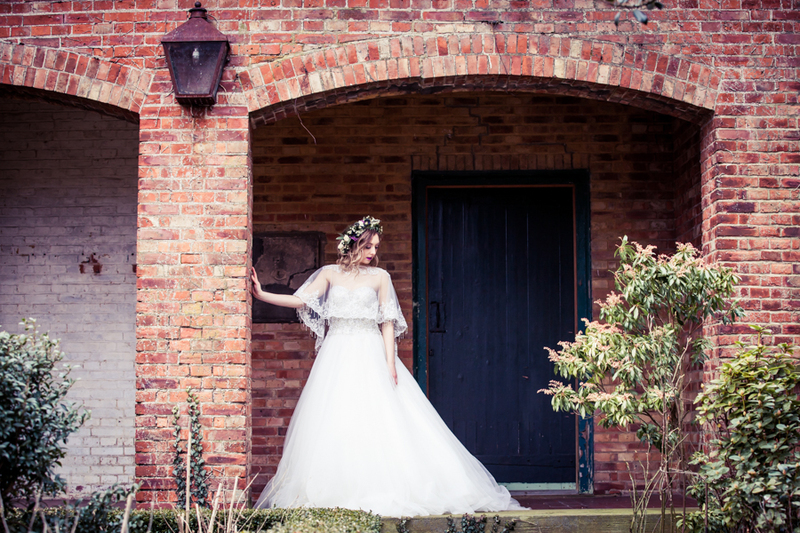 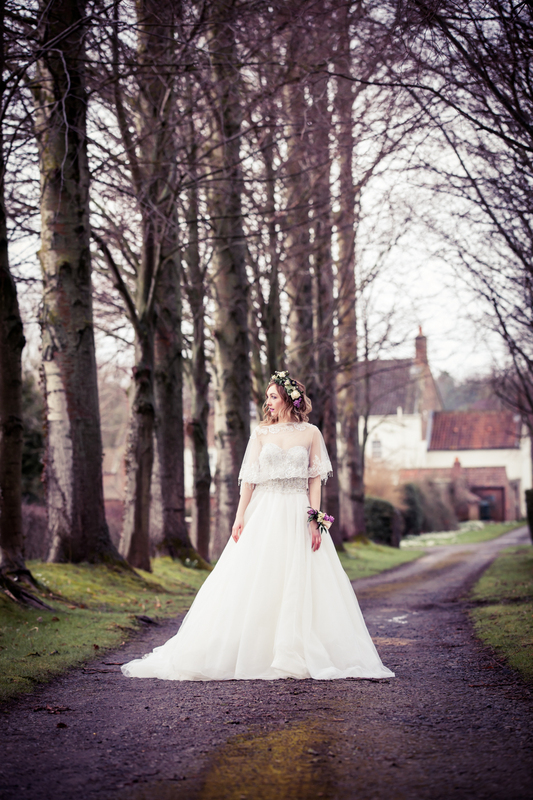 The shoot was captured by Kathryn Widdowson from Photography by Kathryn. 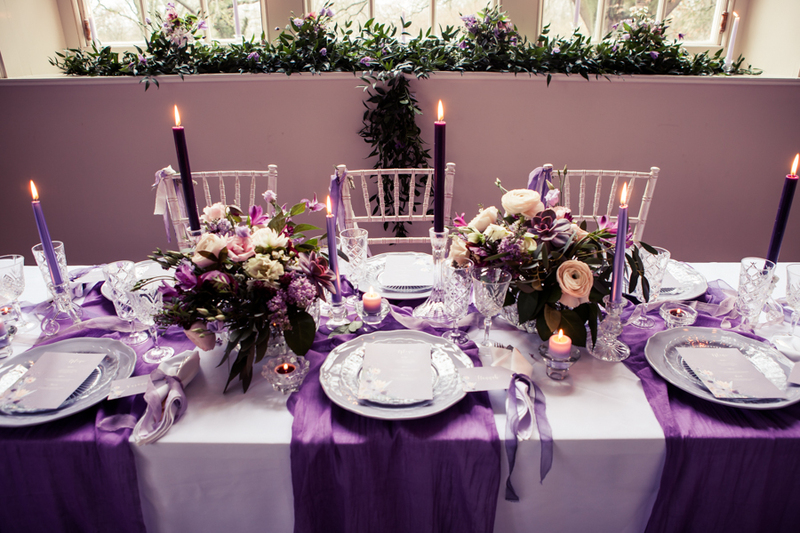 This means that the table linen is crisp and white, providing a great base for the accents of colour to show off. 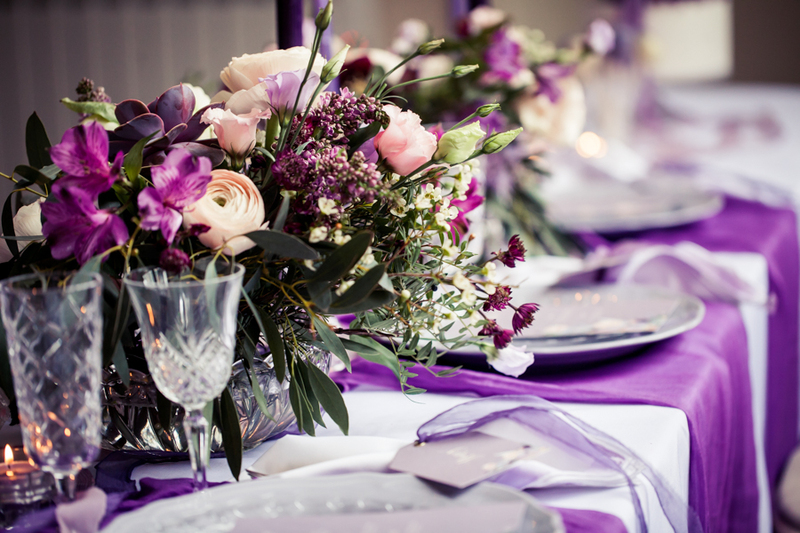 The white napkins are trimmed with lilac ribbon, so when they are placed on the table they stand out. 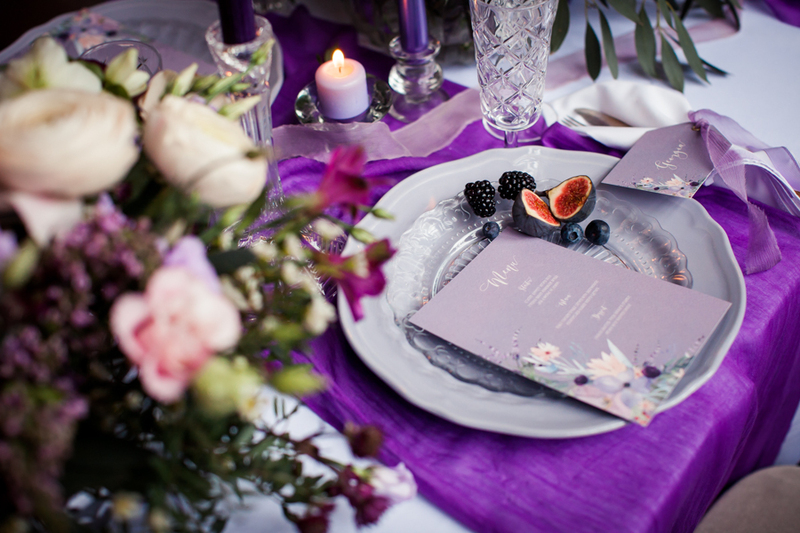 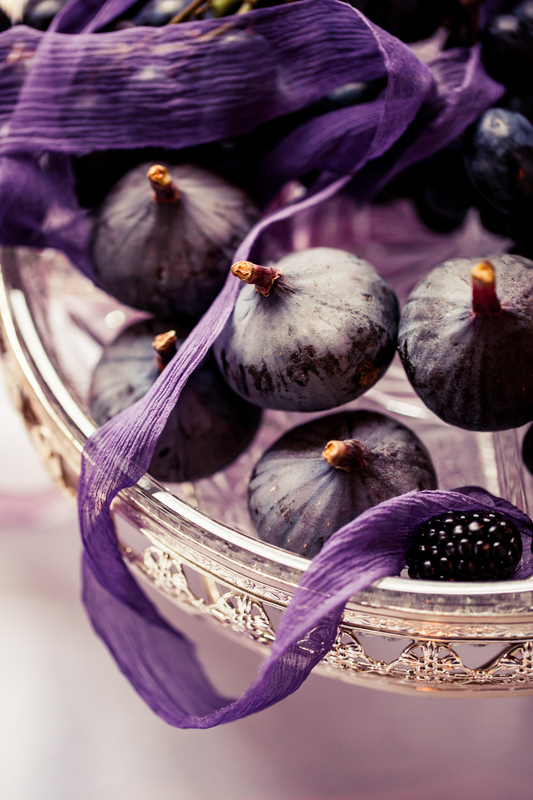 The purple accent is also a feature in the base of the design, so cheesecloth was dyed to make deep coloured, stylish runners upon which lilac charger plates sit. 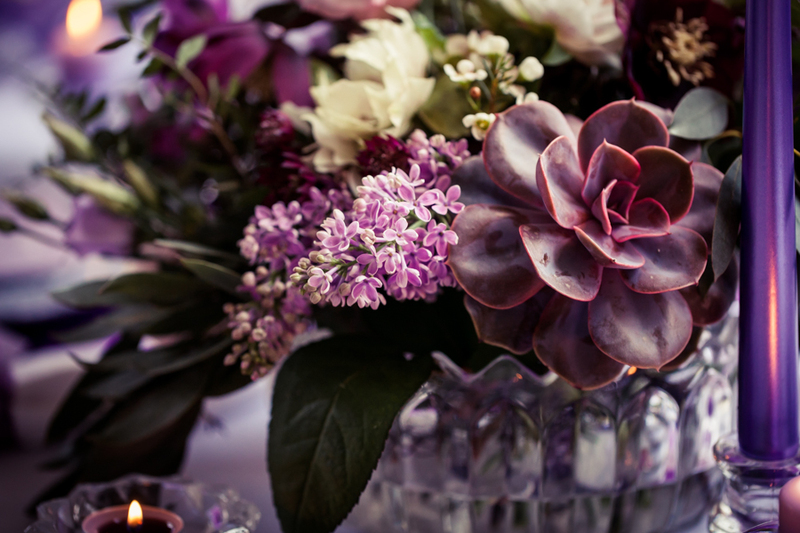 Glassware is always featured in Gillian’s styling, so as well as the beautiful glasses, the design features smaller decorative glass plates and candle holders, plus glass stands and dishes for cakes, treats and fruits. 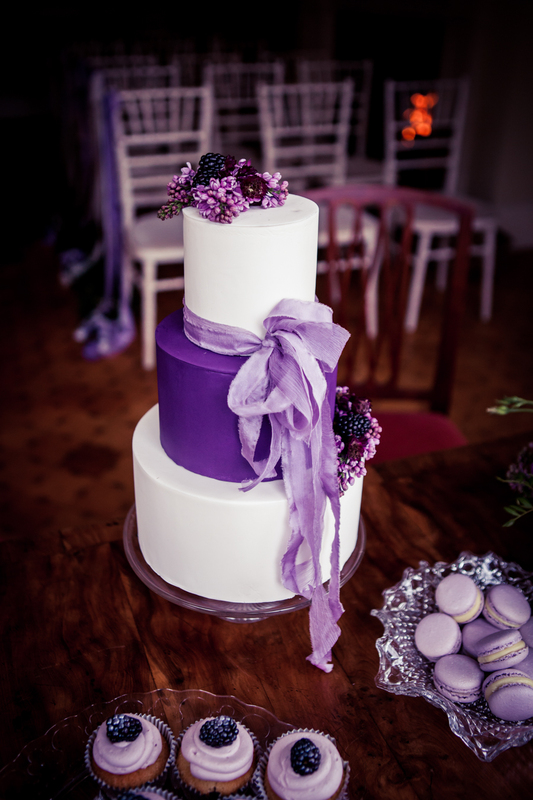 Here Charlotte from Rebel Cakes has created a traditional three tier cake – with an amazing middle tier that matches the theme beautifully. 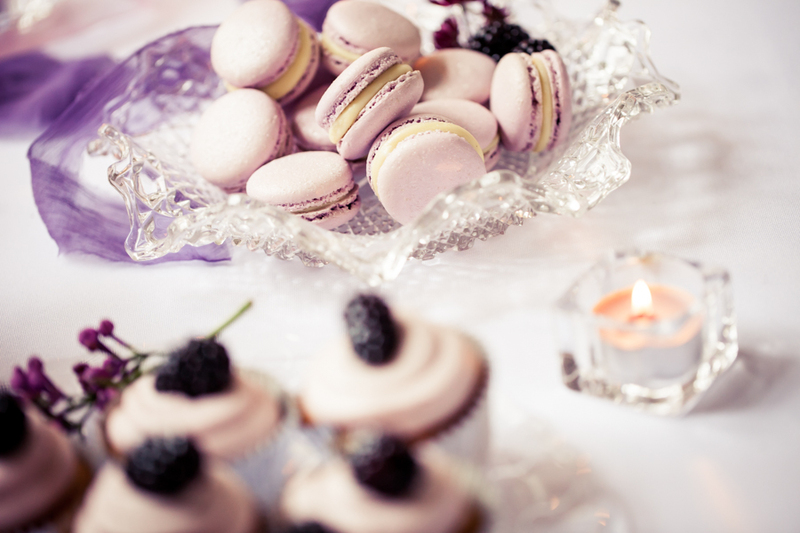 The lilac cake pops, macarons and yummy cup cakes decorated with blackberries add further splashes that compliment accent colour. 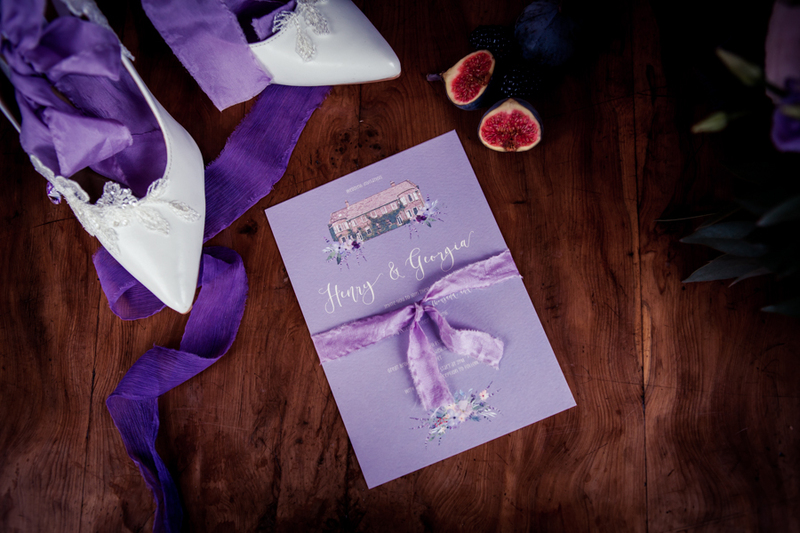 The stationery by Your Days by Design truly embraces the theme both in colour and the elegance seen in the font choices. 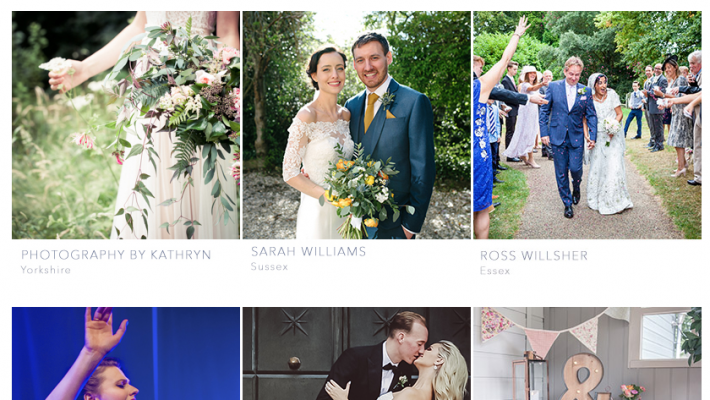 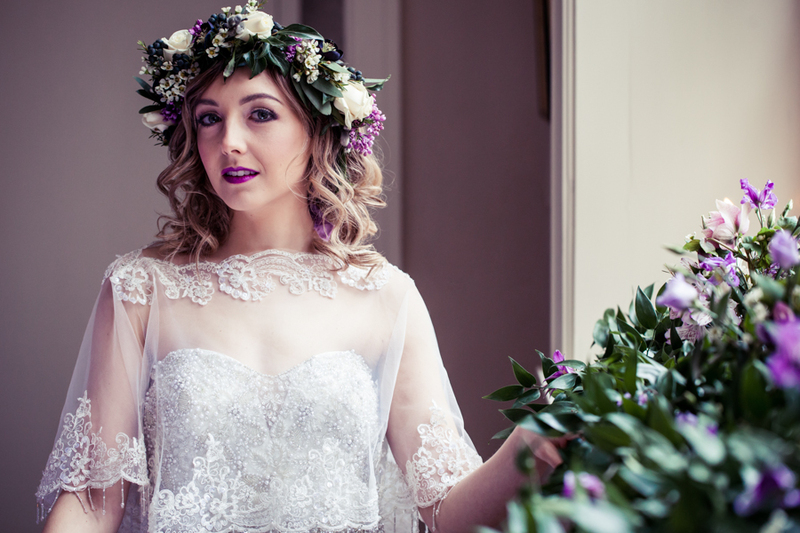 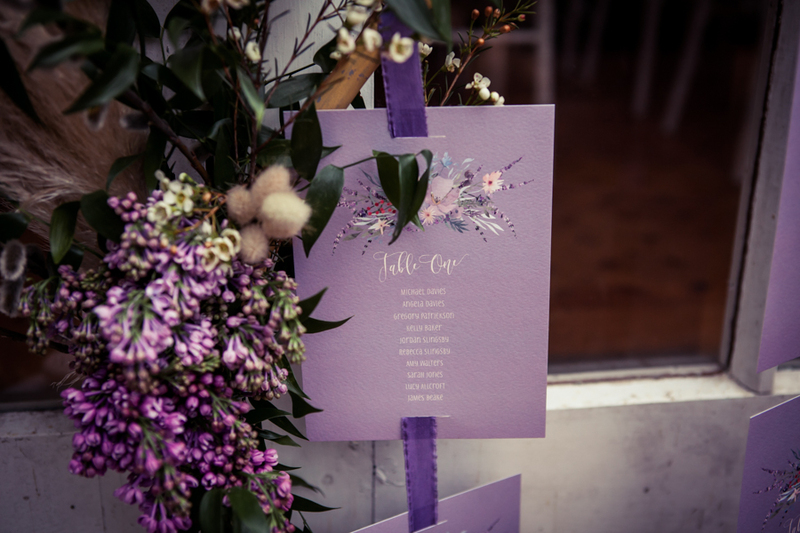 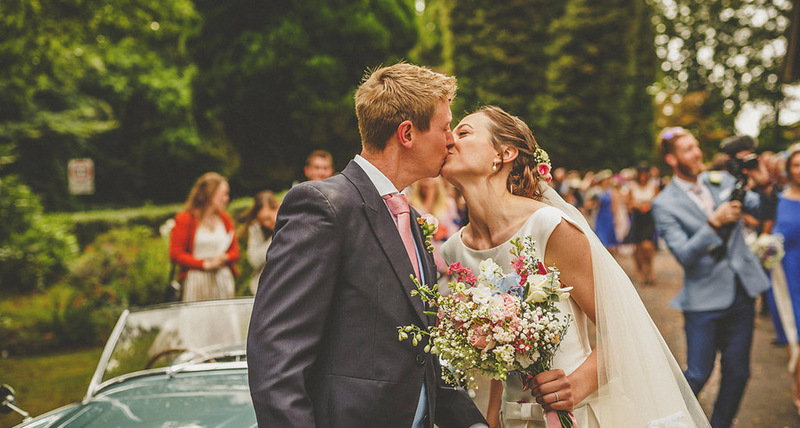 Plus with the table plan suspended in a giant floral hoop, it’s possible to see how another of the big trends for 2018 can be practically – and useful – styled into your wedding day. 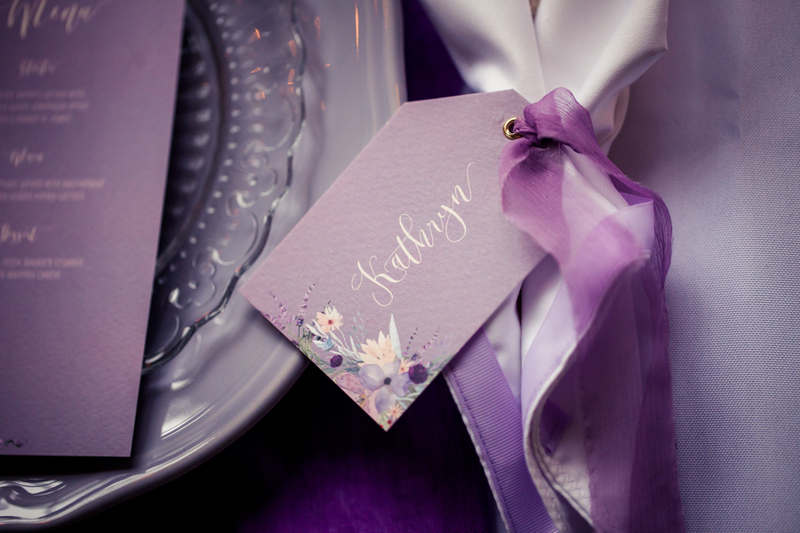 With hand dyed silk ribbons becoming increasingly popular, Sharon from Northern Hands created stunning ribbons to fit with the shoot theme. 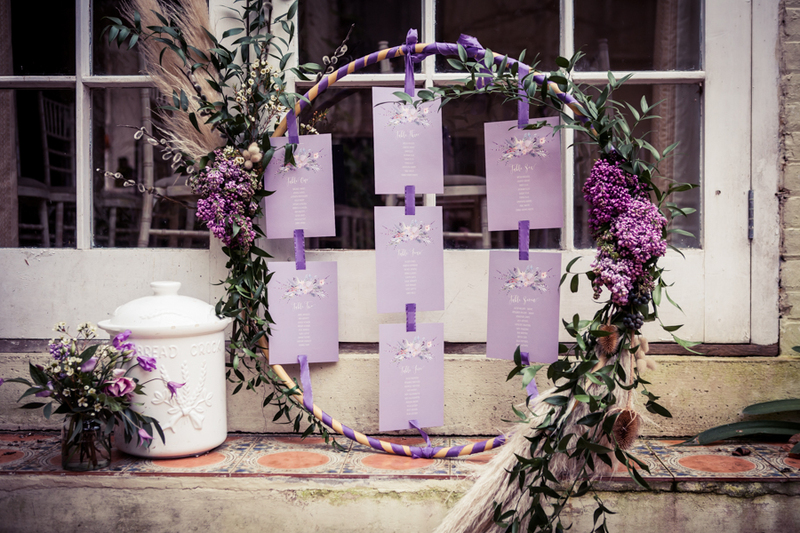 These provide a simple, yet effective colour pop that can be seen on the table settings, chair styling, ceremony room styling, the bouquet, and the giant hoop – and very easy to replicate by any style conscious bride. 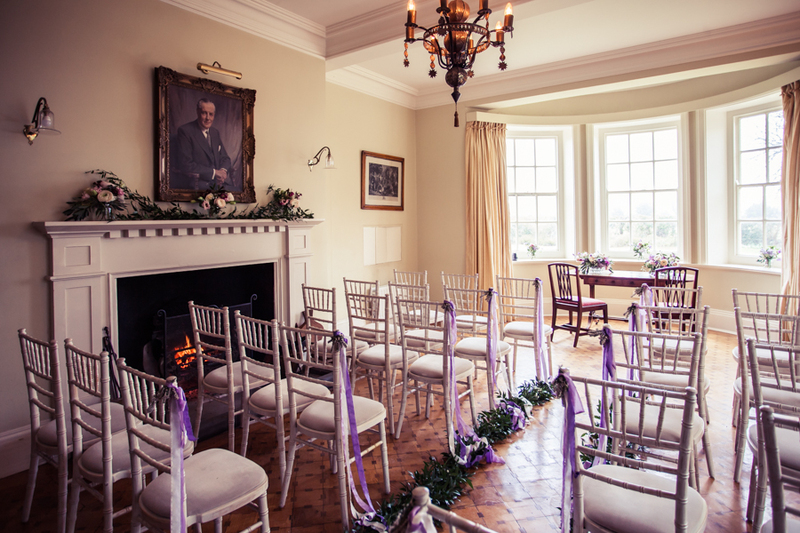 It was important to show that even a dynamic theme can suit a classical venue, so the team worked with Marcella Pellegrino Sutcliffe at the stunning Chapelgarth Estate. 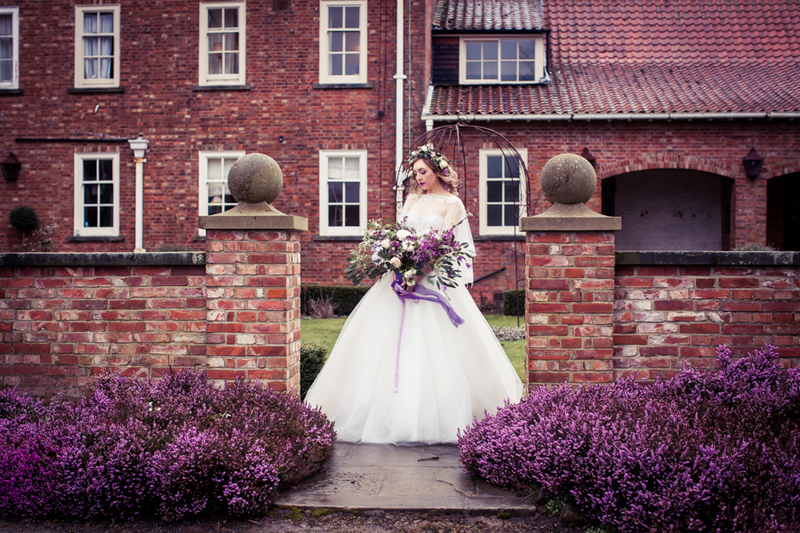 Marcella’s home is on the edge of the North York Moors and the garden features a beautiful heather border which was perfect for the theme. 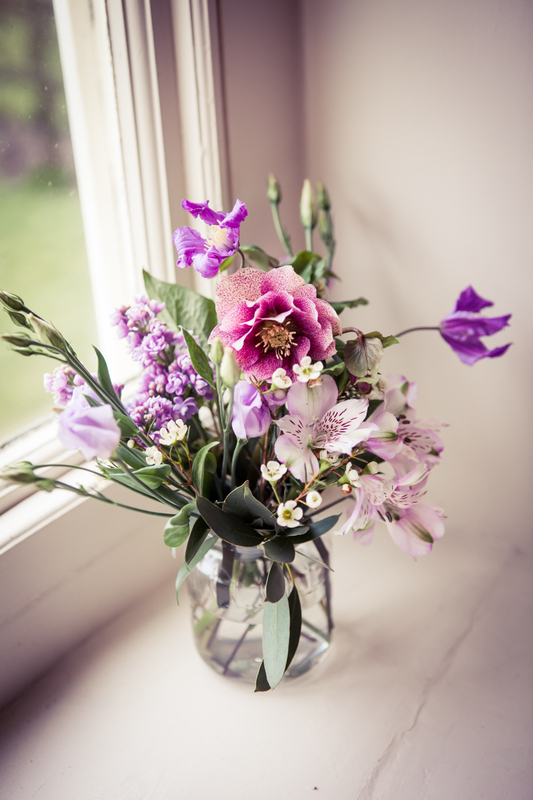 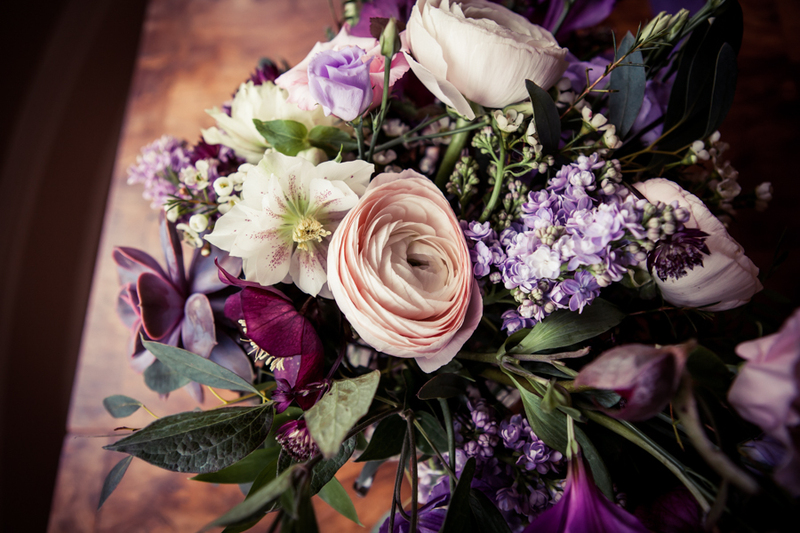 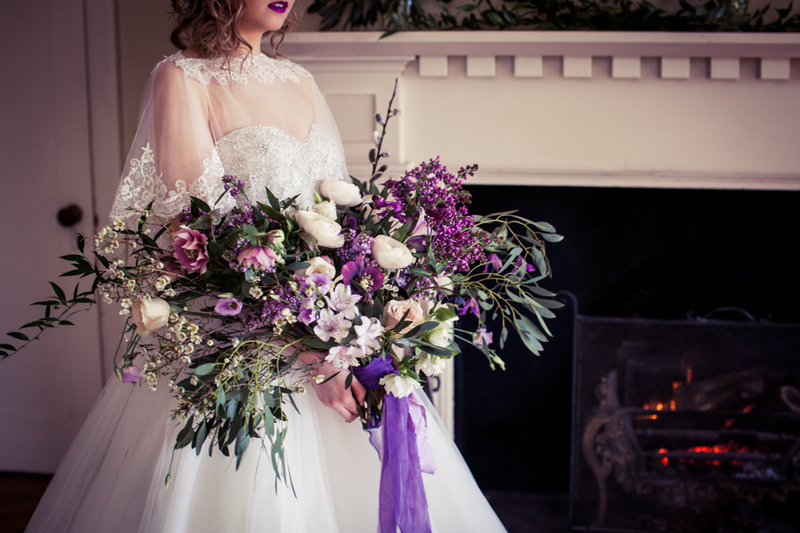 The pops of purple also feature in the stunning floral arrangements by Beamsley Blooms. 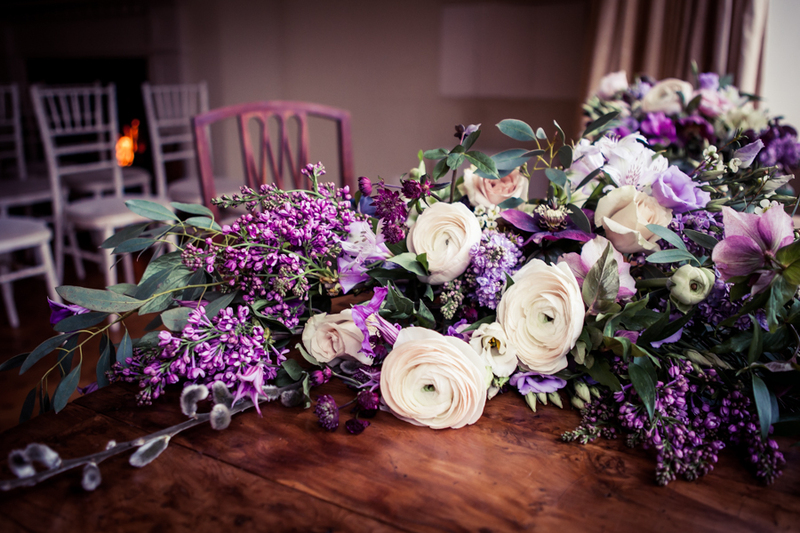 The accents are visible across the lilac and lisianthus which in turn are complemented by the more subtle pastel shades in the ranunculus. 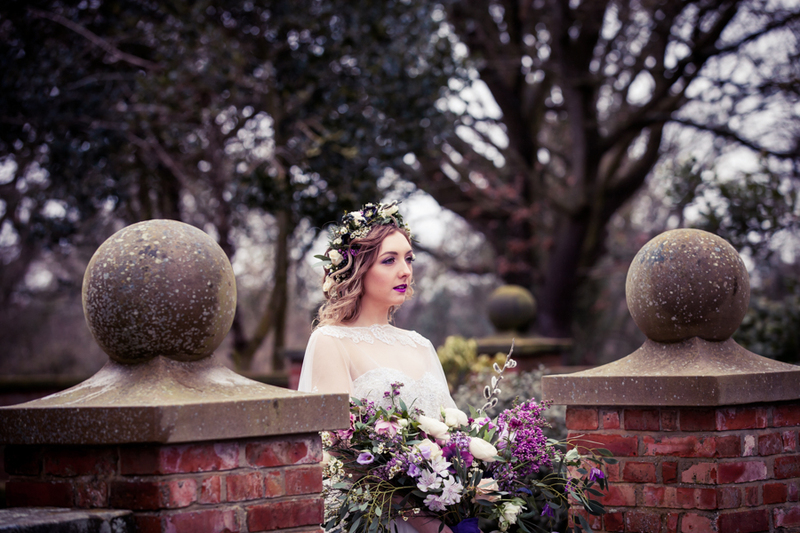 Plenty of greenery and other foliage provides balance and ties all the elements together. 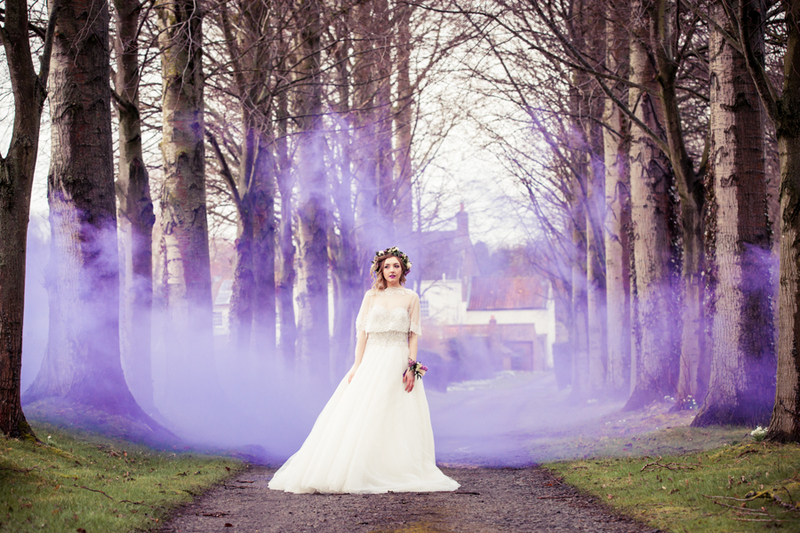 Even with the use of the dynamic colours in the styling, the dress choice from Kenneth Winston is elegant, yet still adds to the drama of the theme. 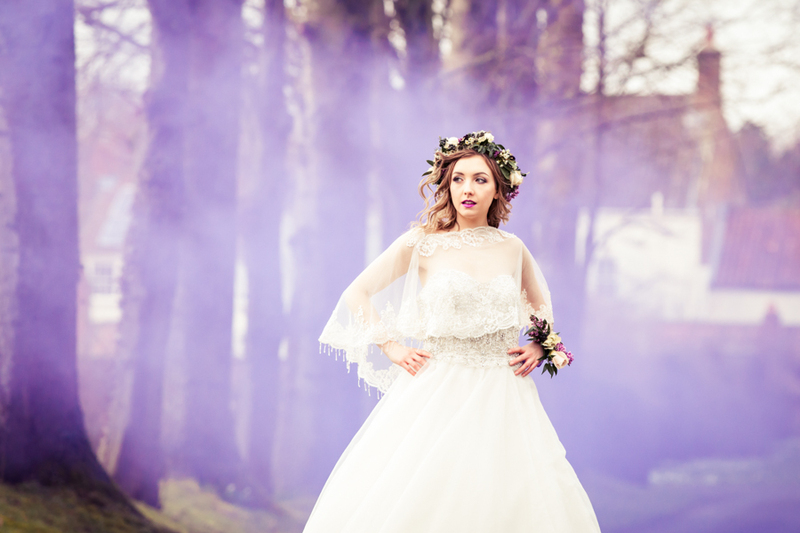 The dress was supplied by Victoria Robson Bridal where the boutique also makes a range of capes, another big trend for 2018 – this one compliments the dress too. 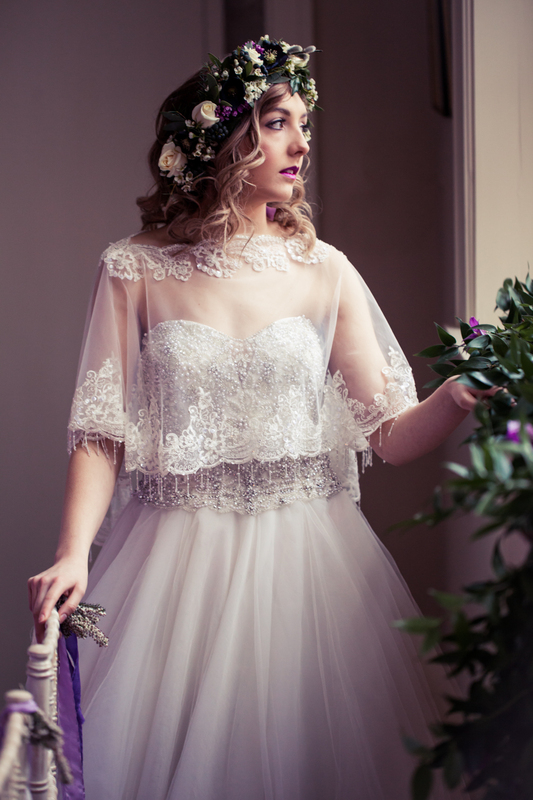 It is modelled by Lauren Homer with hair styling and make-up by Deborah at Love Hair and Beauty Boutique. 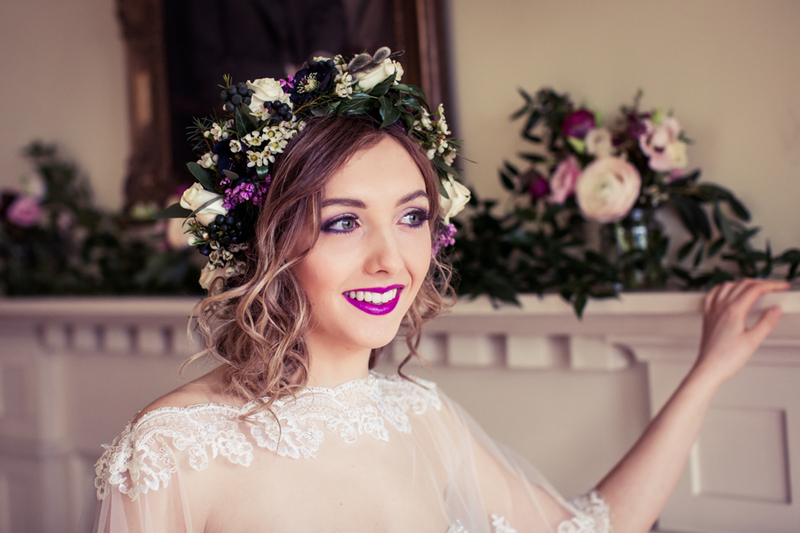 The hair and make-up is elegant and flawless; but see the beautiful purple lips Deborah has used. 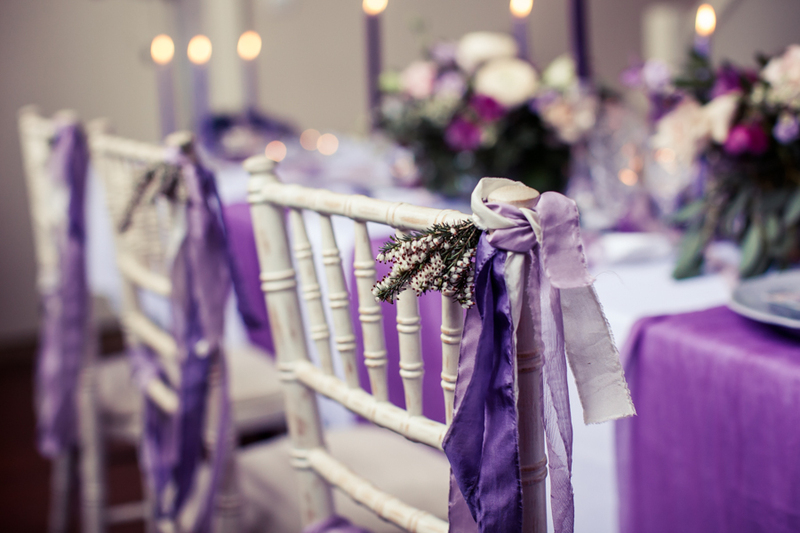 This adds yet another pop of purple to tie into the theme that any bride wanting to embrace this colour trend could try for her big day. 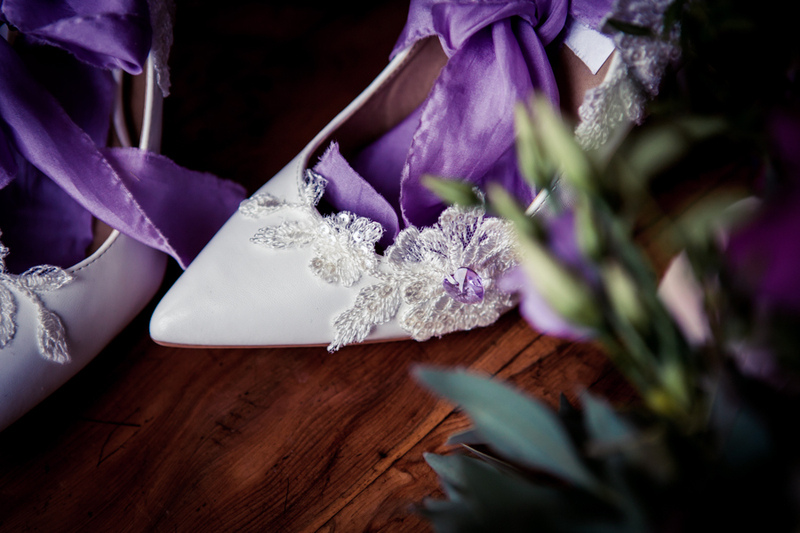 Pretty bridal shoes from Bespoke Design by Jwith delicate floral embellishments and purple ribbons complete the beautifully bold and modern look.